A Century in Flux: Highlights from the Barjeel Art Foundation opened at the Sharjah Art Museum on May 12th, 2018 as a long-term exhibition, featuring a selection of key modernist paintings, sculptures and mixed media artworks from the Barjeel Art Foundation collection. 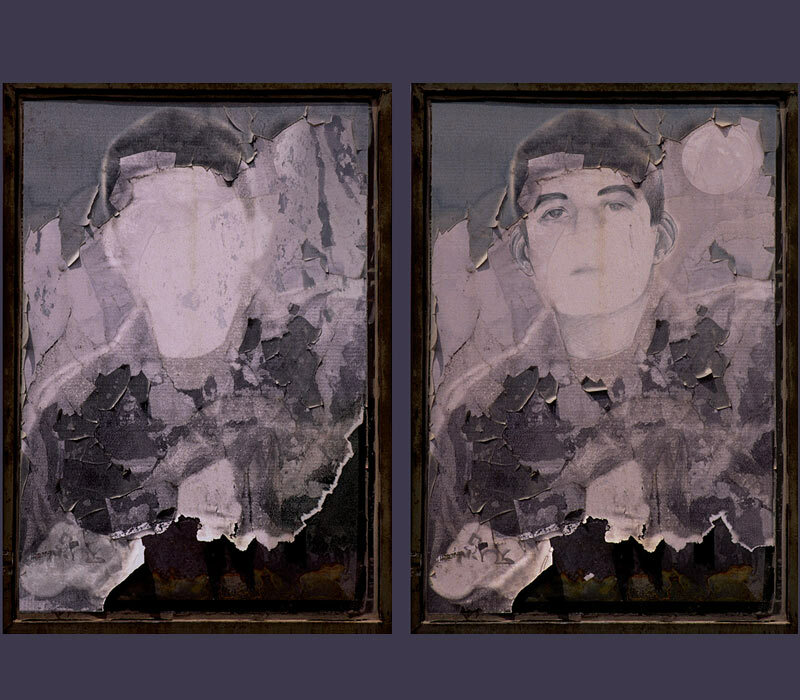 Curated by Salwa Mikdadi with Barjeel curators Mandy Merzaban and Karim Sultan, the exhibition covers a century of artistic production in the Arab region and its diaspora, beginning from the late 19th century to the late 20th Century. 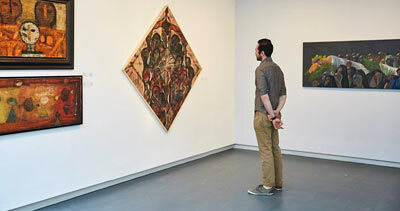 The exhibition will remain on display for the next five years through an agreement between the Sharjah Museums Authority and Barjeel Art Foundation. 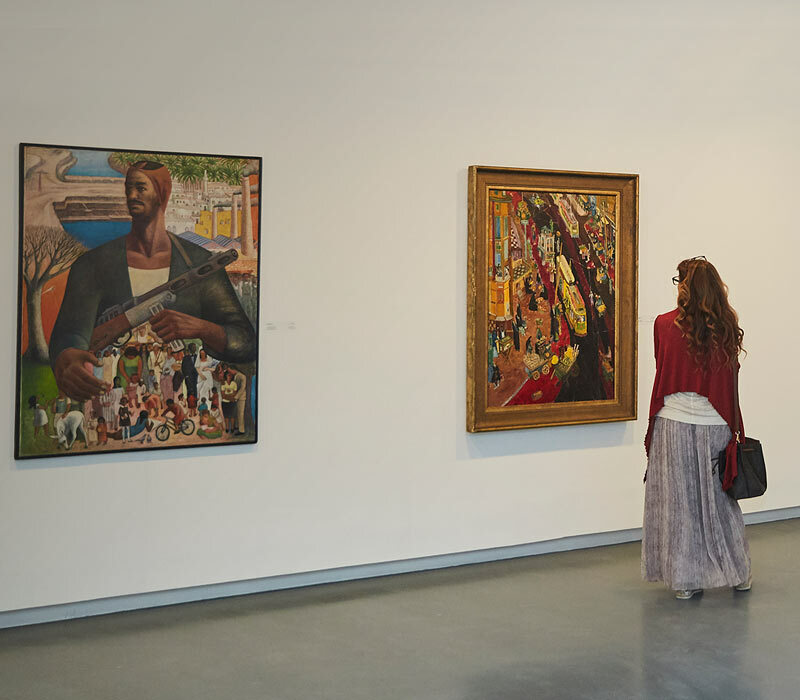 A Century in Flux aims to make a selection of modern works accessible for study by researchers, scholars, artists, curators, and art enthusiasts to encourage a greater understanding of the region’s history of artistic production. 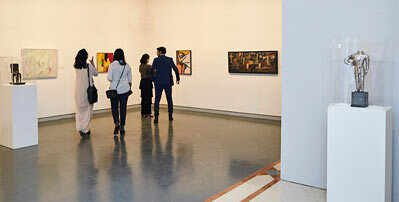 The exhibition features works by notable modernist artists such as Ibrahim El-Salahi, Saloua Raouda Choucair, and Kadhim Hayder. 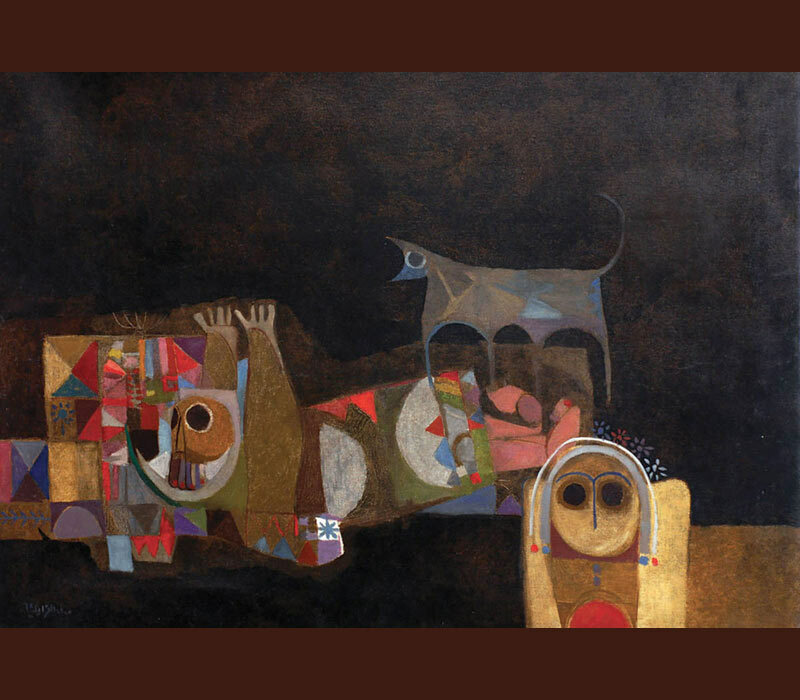 Also included are recent acquisitions such as Dia Azzawi’s 1968 work A Wolf Howls: Memories of a Poet, a painting based on the poem “Hassan Al Shammus” by Muzaffar Al Nawab. A number of contemporary works punctuate the exhibition, resonating with those from the modern period and offering a sense of continuity with the present. Sat - Thu 8 a.m. - 8 p.m.
Fri 4 p.m. - 8 p.m.
© Images courtesy of Barjeel Art Foundation.